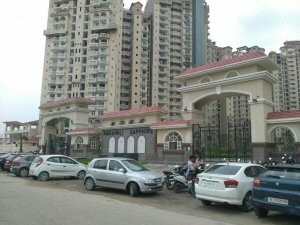 3BHK well-built North west facing 3 bedroom(s) Semi furnished flat available for Resale at Amrapali Sapphire Phase II, Sector 45 Noida in Noida. flat is Ready to occupy and super built up area is 1850 Sq feet. The apartment is situated on the Fourth Floor. It consists of 2 balconies, Servant room and is furnished with: Fans, Lights, Chimney, Modular Kitchen, Wardrobes.You also get 2 Covered car parking.